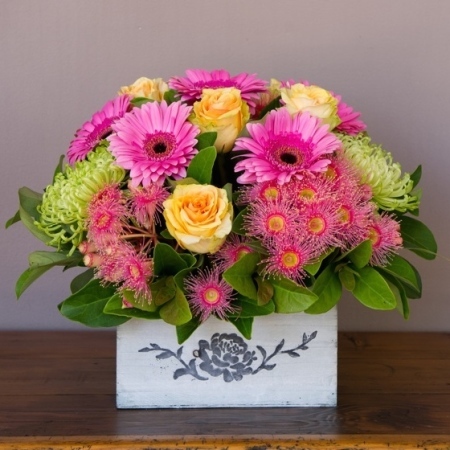 Any recipient is sure to be delighted when receiving this stunning bright pot arrangement. Conveniently arranged in an adorable, collectable ceramic pot, this display consists of beautiful farm fresh flowers in striking hot pinks, yellows and vibrant greens. Call us today 02 9871 1666 and talk to our team of florists that would be only to happy to help with your online purchase.